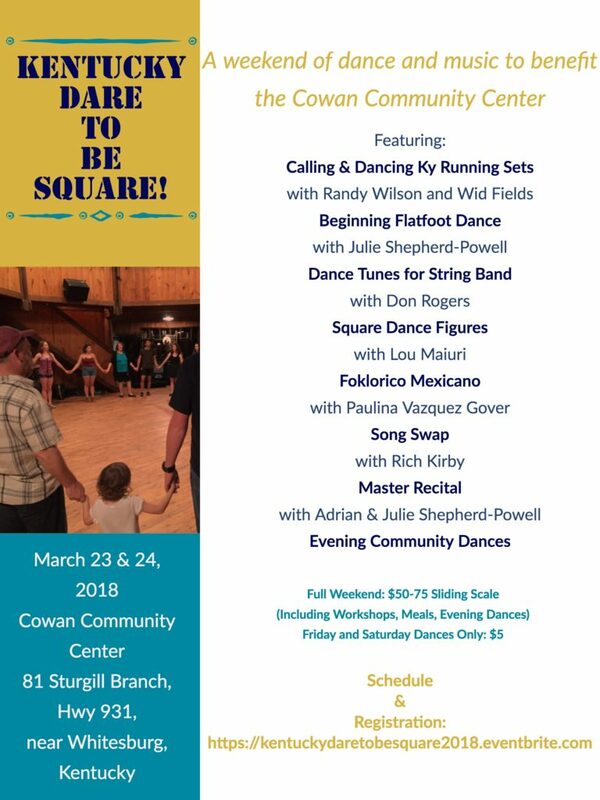 You and yours are invited to dance, dance, dance at the second annual Dare to Be Square- Kentucky, a weekend of dances, workshops and old time jams to benefit the Cowan Community Center. Besides all the good times and fellowship, this a learning opportunity to. 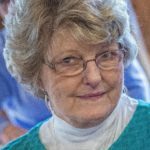 If you are feeling the tug to become a square dance caller yourself, this is your big chance to learn from the best and practice calling with a friendly crowd of enthusiastic dancers. 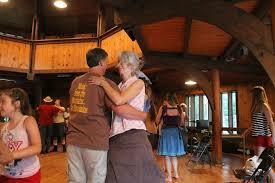 7:00pm – Big Community Square Dance led by Randy Wilson & emerging new talent! Sliding registration fee of $50 to $75 at the door includes all dances, workshops and meals. For evening dances only-admission $5. Comments Off on Welcome to new Artistic Director! The Cowan Creek Mountain Music School is pleased to welcome a new artistic director for the 2019 school: long time faculty member Brett Ratliff. 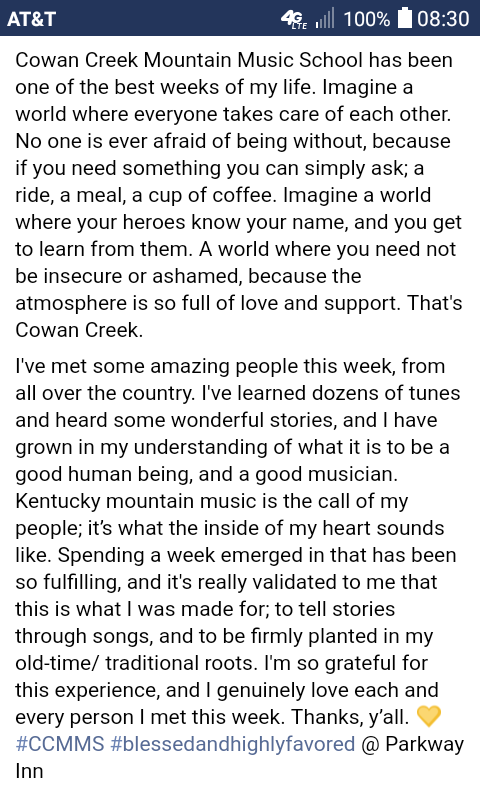 Brett is a multi-instrumentalist and lifelong apprentice of the Kentucky repertoire who loves to share the stories of his mountain home. Born and raised in Van Lear, Ky, the historic coal camp that gave birth to Loretta Lynn, Ratliff has performs as a solo artist and with groups such as the Clack Mountain String Band; the Dirk Powell Band; and Rich & the Po’ Folk with folk legend Rich Kirby. He has also taught Kentucky tunes at the Festival of American Fiddle Tunes, Swannanoa Gathering, Sore Fingers Week in England, and Augusta Heritage’s Early Country Music and Old-Time Weeks. Also a community organizer, Ratliff is an activist who makes connections between the arts, food-ways and social justice. 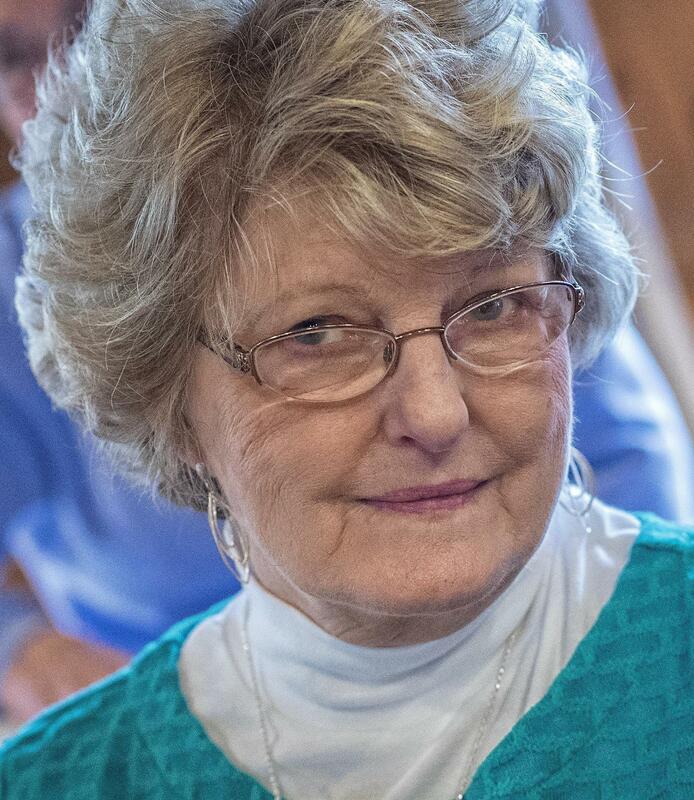 Ratliff has worked toward the wellness of his region with such organizations as Appalshop and the Hindman Settlement School, and has helped found the Morehead Old-Time Music Festival and the Lexington Old-Time Gathering. 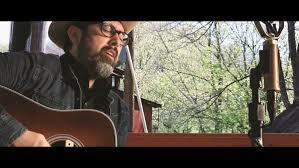 His first solo release was the 2008 June Appal recording Cold Icy Mountain. Gone Boy, his second solo project was released in November 2017. “Ain’t it Funny How Time Slips Away”? Those words from Willie Nelson’s classic hit of 1997 ring in my ears today as I begin this letter. One year seems to bleed right into another, and here we are in the midst of planning our 17th Annual Cowan Creek Mountain Music School. It seems we didn’t even get to fully celebrate our 15th year! Anyhow, the facts are, the 17th Annual CCMMS is on schedule for June 25th– June 29th, 2018. We are happily anticipating another great week. How about you? Are you wintering well and looking forward to another week here on Cowan? It’s been a hard, but a good year for the Cowan Center. Financially, we have struggled at times, but in the midst of it all, we have had some great programs and events. 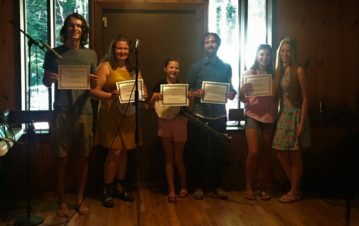 One of our bright spots is that the Center applied for a Levitt Amp Music Series Grant with the city of Whitesburg as our primary partner. There were 15 cities across the nation that were awarded the grant, and we were one of them. I hope by now most of you have seen the news. 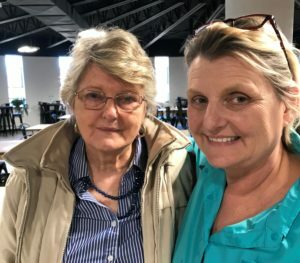 What this means is that the grant provides for ten concerts to be held in Whitesburg on the Mountain Heritage Village Festival Theater grounds and is free to everyone. There will be one each Thursday night beginning in May, and each one will feature a well-known and reputable group from a variety of genres. These groups will be paid with funds from the grant. The city and county are very enthusiastic about this, and of course Cowan Community Center is elated because we submitted the winning proposal. I share this with all of you because it may be that during the week you are here for the school, perhaps you may somehow be involved with it. Not only during the week you are here, but you may be part of a group that can be considered for one of the ten concerts. Just a bit of information for you to be considering. As always, we are looking at any and all ways to make our school retain its quality and even surpass what we have offered previously. Not sure yet what that means in terms of offerings, but we know that is one of our commitments to ourselves, to not rest on our laurels and think we can’t improve. So, if you have suggestions you would like to make up front, please feel free to make those known. Send your ideas to me, Kevin Howard, Stacy Dollarhide, or Beverly May, who continues to have a strong presence in the planning of the event. One personal interest I have concerning this year’s school is a five year old great granddaughter who received a new fiddle for Christmas. She asked Granny Carol last year at the end of the school to get her one for Christmas. Of course I did, but my granddaughter is disappointed because she cannot yet play even one little song. I know there is one song she definitely has to learn because my granddaughter’s name is Eliza Jane. 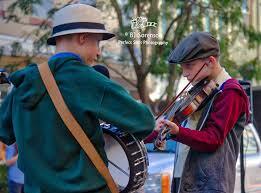 What can you expectfrom a child with that name and an interest in a fiddle? Maybe some of you very gifted and talented instructors can squeeze in a few minutes to fan Eliza’s interest and launch her into a musical heritage. That’s about it from me now, but rest assured all of us here at Cowan including Kevin Howard, Artistic Director, Stacy Dollarhide, Program Coordinator, Nell Fields, Chairman of our Board, Beverly May, one of the Founders of the School, Valerie Horn, Coordinator of Grow Appalachia, myself, Carol Ison, Director of the Cowan Community Center, and all of the folks who help make the school work are looking forward to another good year. We hope you are as well, and we will look forward to greeting you and extending our Cowan hospitality to you as we have now for 16 years. My goodness how fast a year does go! Last year we celebrated 15 years of successful Cowan Creek Mountain Music Schools, and now we are eagerly looking forward to beginning another 15. Even though the ground is snow covered today, I can easily visualize the grounds in June at the Cowan Center filled with all of the beautiful sounds of the varied musical instruments, harmonizing voices, the excited children’s voices in Kids on the Creek, and everything else that makes the CCMMS so very special. From my perspective, having been a part of the school since its inception, each year I become more appreciative of what we really have right here in this little rural community of Cowan. Growing up here on Cowan as a child, we were lucky just to have a three room school where the Cowan Center now stands, and during the summer absolutely nothing happened there. So, when I experience the music school each summer and the anticipation and excitement of the preparations, it amazes me that something this noteworthy has formed roots right here in my own little piece of the world. Looking at the website this morning , reading the descriptions of all the wonderful classes the school offers, and the amazing bios of the folks who are involved with the school make me so proud to be a part of it. I am so thankful that I was blessed to remain here on Cowan and be a part of the development of something so remarkable. But that’s enough of bragging on my part. You probably want to know if anything is going to be different this year. Well, one thing is still the same: it’s going to be the best year we have ever had. We don’t know yet exactly what we will do that will make that distinction, but we promise you that we get better every year. When you read the description of some of the Visiting Masters, maybe that is what will make the difference. 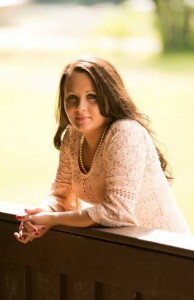 Or maybe it will be that Angie DeBord is reconnecting with us in Story-Telling. Or perhaps it is the fact that Stacy Dollarhide is returning as the Program Coordinator. Whatever it takes to make it a great year, that’s what we here at Cowan Community Center want to commit to doing. We just want all of you who are returning, or those who are coming for the first time as students or faculty, or teaching assistant, or work study participants, to come with the idea that you are coming home for a week. Leave the cares of this turbulent world behind and come to Cowan where you can become a part of family and of community. Let’s all look forward to a week of renewing acquaintances, making new ones, enjoying a pace of life that still lets you sit on the front porch with neighbors and wave at the cars going by. If you find while here that you just need a ‘time out’ I have a nice front porch just two houses below the Cowan Center, and I offer you a rocking chair or a front porch swing. Stacy Dollarhide says she makes you the same offer. So, with that said, what else do you need to make your plans to come to the 16th Annual Cowan Creek Mountain Music School during the week of June 19-23, 2017? Brochures will be sent out soon, and if you have any questions feel free to call Carol Ison, Center Director, Stacy Dollarhide, Program Coordinator, or Kevin Howard, Artistic Director. Until we see you in June, please stay warm, safe, and comfortable. Enjoy good music when the opportunity allows you to, and please come and share your music with us on Cowan during the week of June 19-23.